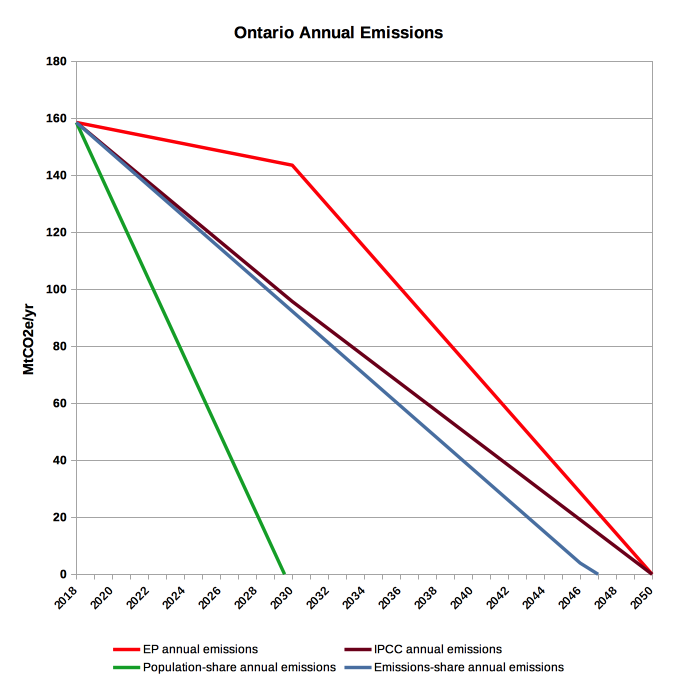 Ontario's Emissions | Climate Action NOW! In November 2018 Ontario's Progressive Conservative government changed the existing 2030 target (37% below our 1990 emissions) to match those of the Federal government (30% below 2005). Ontario's population of 35 million is approximately 0.17% of the global population. As a result, our population share of the IPCC carbon budget is 1,000 Mt CO2e. Our emissions are 0.44% of global emissions so our emissions share of the IPCC carbon budget is 2,000 MtCO2e. 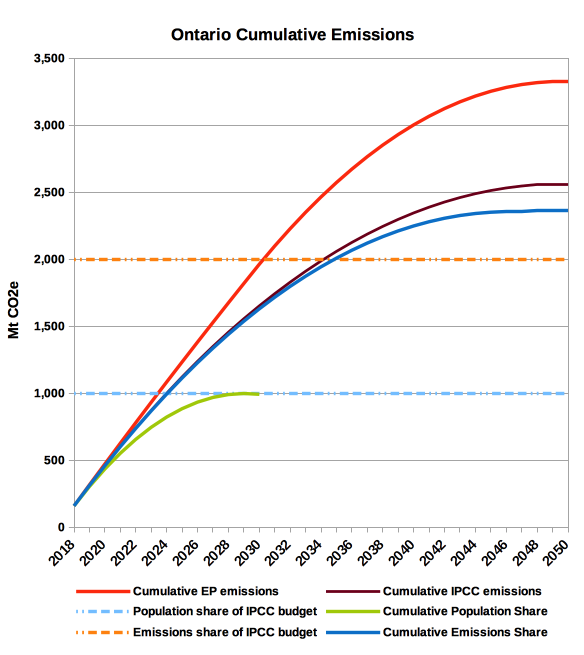 Both of Ontario's plans already exceed our population share of the IPCC global carbon budget, and approach the emissions share in 2030. The chart above illustrates rates of reduction of annual emissions needed for the various paths/sharing strategies. The area under each line represents the cumulative carbon emissions. The charts do not have Environment Plan targets for 2050 because, as of February 2019, the Ontario government hasn't published any targets for 2030-2050.